Belle and her extended families have been in the news a whole bunch of times. WHO is Belle, protecting? Above are pics of Jean Stacey with Belle’s lover, Ambrose Holtham-Keathley. He is Jean Stacey’s Whoville Poster Boy. Belle links arms with Ambrose in the City Manager’s office where they were arrested for trespass. This makes Belle Burch very Newsworthy. If she doesn’t want to be in the news – stay home! Note, they got their own news team. That’s attorney, Mary Broadhurst, with Whoville and SLEEPS colors. Alley admitted it was wrong to be Sub-rosa when we met. Why wouldn’t Ambrose and his attorneys be filled in about out meeting – and my negative report in Royal Rosamond Press? Who else knew, before their Omnipresent Hit Woman, Alley Valkyrie, was called in? How do we know no Russian agent had infiltrated SLEEPS? These are criminals! If they got something to hide, they can be compromised! The reports, which were drawn up by private cybersecurity firms on behalf of the Senate intelligence committee, offer the most comprehensive look yet at Russia’s online influence operations. The reports confirm the U.S. spy agencies’ overarching conclusions that Russia’s efforts ahead of the 2016 election aimed to sow discord, hurt Hillary Clinton and help Donald Trump. They also echo a warning that U.S. officials have been giving for months: that Moscow’s nefarious online activity did not end on Election Day but rather continue to target Americans to this day. 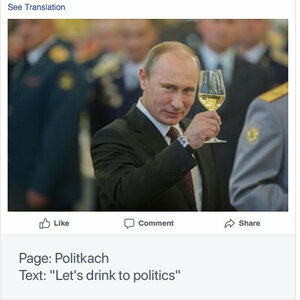 The reports offer new details on the activities of the Internet Research Agency, the Kremlin-backed troll farm based in St. Petersburg, Russia, that drove Moscow’s online operations. Above is the alpha male and female of SLEEPS. They are in love. Why then is Belle flirting with a total stranger? 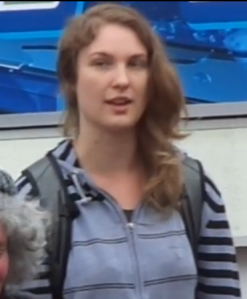 Could it be, this anarchist couple love to be filmed and on the news? At 9:41 I discovered Belle Burch and Ally Valkyrie go arrested together for criminal trespass. I conclude Belle knew of the attack Alley launched against me, and called me after this attack hoping I was afraid, and thus will do as she commands. Alley says she a abused woman on a mission, thus, her threats were extortion and blackmail. I will talk to the FBI about a conspiracy to deprive me of my Civil Rights, for Ambrose Holtham-Keathley, Stormrider was arrested with Belle and Alley. Ambrose was lurking in the background when I met with Belle at the Wandering Goat.